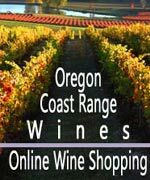 (Oregon Coast) – Half the fun of staying on the coast is settling into a real home with your family or group for a few days. It's your own space by the waves. You've got your own kitchen, a distinctly decorated house with a true homey feel, and in many cases you've got your beloved mutt on this trip as well. (Above: Cottages at Cape Kiwanda, Pacific City). There's often plenty of work involved in finding a good rental, too. Here's a sizable list of vacation rental agencies you need to know about – but probably don't. 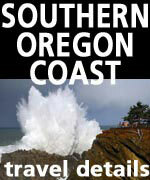 (See a full list of Oregon Coast Vacation Rentals here). Oregon Beach Vacations is the undisputed biggie along the Oregon coast, with over 200 rentals on essentially the entire upper half. The farthest north is Gearhart and the southernmost is around Yachats, encompassing almost 150 miles. All this means an incredible array of choices. 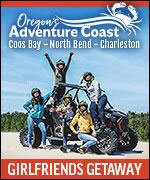 1-800-723-2383. www.oregonbeachvacations.com. In Seaside, Beach House Vacation Rentals has a few dozen, and it has its magic fingers in places just north of here, such as at Gearhart. There's even lakefront beauties in oft-overlooked Warrenton, and a Victorian stunner or two. A big highlight is the resplendent homes that are sometimes historic, along with awe-inspiring views from condos that tower over Seaside. 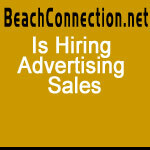 800-995-2796. www.beachhouse1.com. Cannon Beach's Beachcomber Vacation Homes is a bit of a newer player on the scene, but a strong one. There's plenty that's beachfront here, putting you fairly close to Haystack Rock – or even better – the less populated southern and northern edges of town. Highlights include some whimsical little cottages set in somewhat magical coastal forests. You can even find some down in Arch Cape and the secretive Cape Falcon cove area. 503-436-4500. Beachcomber Website here. Also in town, most impressive is Cannon Beach Vacation Rentals which features massive homes, sometimes of a historical nature, to sleek and small cottages. Some stunners are even almost futuristic looking. One example has a solarium with an intense beach view. They also feature goodies down south at Arch Cape and Falcon Cove. 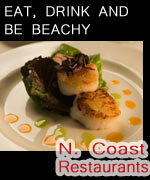 866-436-0940. www.visitcb.com. 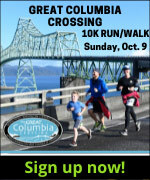 In the Manzanita, Rockaway Beach, Nehalem and Wheeler areas, get ready to be amazed. Many of the vacation rental firms cover all these areas – and more. 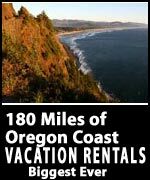 Beach Break Vacation Rentals in Nehalem may have the largest spread. 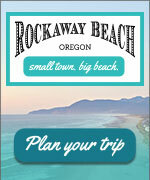 Featuring a thick coverage of Manzanita and Rockaway Beach, you can also find some as far south as next to Oceanside. Plus, you know that really cool floating vacation rental on the Nehalem River you've always wondered about? This is where you can rent it. 877-655-0623. www.beach-break.com. 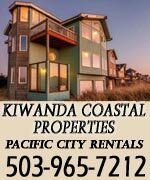 With that lovely, woodsy office in downtown Manzanita, Sunset Vacation Rentals has you covered if you're looking for oceanfront, lakeside, close to the golf course and more – in Rockaway Beach and all around Manzanita. 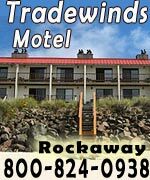 Many of the most magnificent standouts as you wander the beaches of Rockaway or Manzanita are rented through them. 800-883-7784. www.ssvr.com. 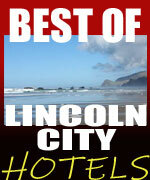 Meredith Lodging in Manzanita is another agency with huge choices, scattered all over Manzanita. There's a whole bundle right next to the golf course, numerous beauties on the beach, and quite a few up high on the upscale Neahkahnie Mountain gated community. 503-368-6797. Web Site Here. The Houses on Manzanita Beach has some jaw-dropping homes for your beach getaway. These tend to be on the upscale side, and one was once owned by the Reed family (descendants of famed journalist John Reed, whom Reed College is named after). (503) 354-4287. Website here. While not a vacation rental per se, Wheeler Lodge on the Bay in Wheeler has one large full-amenities unit that is open to longer rentals, like a week or two. You have your own dock on the bay. 800-469-3204. Wheeler on the Bay Lodge. Heading south into Bay City and Tillamook, very close to the bay is Sheltered Nook on Tillamook Bay. This is a very unique one on the Oregon coast: tiny homes as vacation rentals. There's a handful here on this forested tract of land, complete with a park-like setting and a truly engaging set of engaging features. 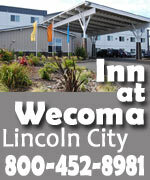 (503) 805-5526. http://shelterednook.com. Just north of Pacific City, you'll find Idyllic Beach Houses, which pretty much says it all. Here, you're steps away from the soft and often empty sands of Tierra Del Mar. 503-662-5420. www.IdyllicBeachHouse.com. Within Pacific City, for the upscale tastes and budget there's Cottages at Cape Kiwanda, which is essentially next to the famed headland with a full view of all the wild and woolly wave action. 888-965-7001. www.kiwandacottages.com. Shorepine Vacation Rentals includes dozens of beach homes all over town, some of which have access to a club and swimming pool. Also under their umbrella is the truly unique Hart's Camp, where you can rent refurbished airstreams in a camping lot – all of which are stocked like a full, five-star hotel. 503-965-5776. www.shorepinerentals.com. 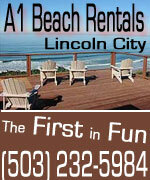 Lincoln City boasts A1 Beach Rentals, with a huge variety of homes for all kinds of tastes and budgets. Highlights include some of the historical wonders (such as one that was a submarine lookout during WW2) and nice array of finds in the coveted Road's End neighborhood. You'll also find some in Depoe Bay. 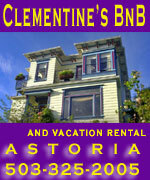 (503) 232-5984. www.a1beachrentals.com. While the Sea Horse Oceanfront Lodging is known for its motel, it has a host of darling vacation rentals, including two cabins you may fall in love with permanently. 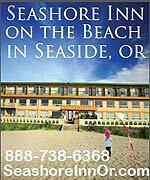 541-994-2101. www.seahorsemotel.com. 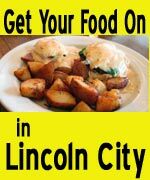 Also encompassing Depoe Bay and Lincoln City is Keystone Vacation Rentals, which hosts a variety of those much sought after beachfront condos in both towns. Get ready to see a lot of whales. 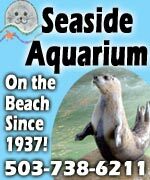 (503) 443-1414. www.KeystoneVacationsOregon.com. 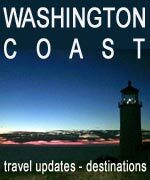 In tiny Depoe Bay, a longtime favorite – yet still a bit of a secret – is Ocean Paradise Whales Rendezvous, which you can rent as either a vacation rental or a BnB. This is one right on the ocean and rather legendary for outstanding service. 541-765-3455. Ocean Paradise Whales Rendezvous. In Waldport, if you're looking for great ocean views, coziness and a sense of the upscale, there is the Pacifica House and the Waves House. Both are located just a block and a half from the beach. 541-968-0322. See Website here. All the way down in Florence, Heceta Beach Vacation Cottage is a set of gorgeous vacation rentals not far from the soft sands. Definitively individualistic and full of flair, it's a knockout with its rustic wood and soft, upscale charms. 650-575-9151. Website here. 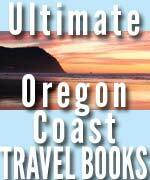 (See a full list of Oregon Coast Vacation Rentals here).